Martin Torres is an Organizational Design Consultant currently advising across a broad range of industries, including mining, real estate, insurance, education and retail. With over 15 years of experience in this capacity, Martin currently works with industry leaders such as Anglo-American Mining, Avis Rent a Car, Arauco (www.arauco-na.com/) and Liberty Insurance. His work takes him across the Latin American region to improve business productivity by measuring the potential of individual workers, develop talent and implement dashboards, and design and implement models by which businesses can increase their effectiveness and performance. 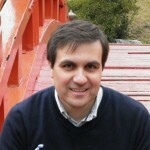 After earning a Bachelor of Business Administration degree from the Pontifical Catholic University of Chile, Martin went on to complete a Master of Business Administration in Management from the Universidad Adolfo Ibáñez. He is currently completing further studies toward a postgraduate degree in Human Resource Management from New York University. The creator of a human resources digital platform web application to support human resource management, Martin is an innovator and forward thinker in his field, possessing a true vision of how to adapt digital technology to the HR field. Based in Santiago, Chile, he speaks fluent English and Spanish. Outside of his consultancy, Martin writes for a blog and continues his own research on how to create new forms by which to measure intangibles. The International Society of Business Leaders Member Martin Torres, MBA can be found on the Society Directory, where he is looking forward to networking with you.